At Len Hollis, we are committed to quality service, innovation, efficiency and the environment. These are all values that we have taken into the design of our modern facilities at Mortlake, NSW. 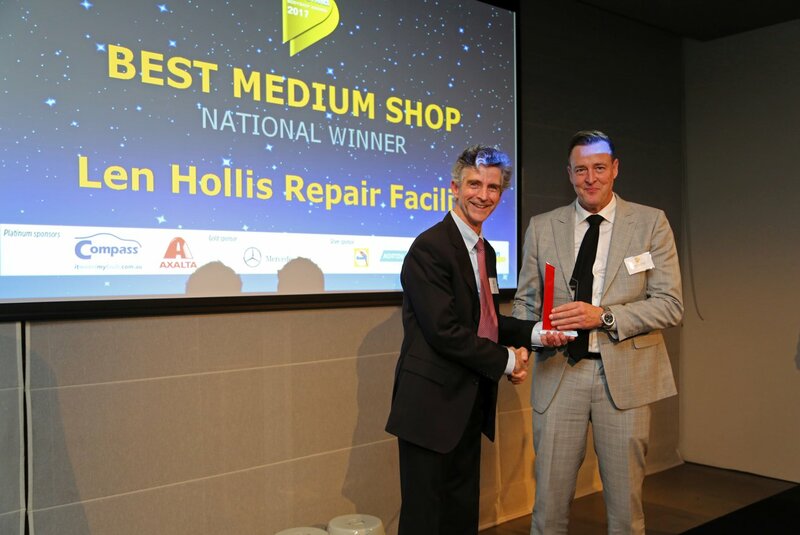 Len Hollis Repair Facility is located at Mortlake, NSW, near concord has been repairing a diverse range of vehicles since 1980. Darren Myers purchased the business from Len and Mandy Hollis in 2007 when the business was a smaller operation. Darren subsequently grew the business rapidly leading to the purchase and expansion into additional space at 4 Emily Street. Our professionally trained team brings combined knowledge, reassurance and dedication that is second to none. Due to the importance of safety and manufacturing advances in today’s modern vehicles, we believe in professional training to ensure knowledge and skills are kept up to date with technology. We began I-CAR training for all staff in 2009 to educate all staff ensuring repairs are kept safe and the correct procedures are heard to. In August 2014 Len Hollis became the first repair centre in Sydney to become accredited to I-CAR Gold Class repair facility. In 2015 Darren was elected to sit on the board of I-CAR. I-CAR represents to deliver technical training programs to professionals in all areas of the collision industry. Paint & Panel magazine for the autobody repair industry is published by Yaffa Media and has been established for 35 years. As well as keeping the industry informed via the bi-monthly magazine, weekly e-newsletter, website (www.paintandpanel.com.au) and social media channels, Paint and Panel runs an annual industry conference, the Paint & Panel Bodyshop Awards and Women in Collision awards and Next Generation seminars. The Paint & Panel judging team were especially impressed with the superb customer facilities and the overall attention to detail shown by owner Darren Myers. Len Hollis is also one of the first repairers in the country to achieve I-CAR Gold status. This requires significant investment of both time and money in a variety of training courses to keep ahead of the steep technology curve created by the rapidly increasing complexity of today’s cars. In mid 2014 the paint shop and office went under substantial renovations to bring Len Hollis Repair Facility into a modern state of the art facility that it is today. We guarantee that we use manufactures genuine parts, the latest Pro Soot ‘inverted welding’ technologies and Car bench Octopus for manufacturers approved structural repairs and replacement work combined with Spanesi electronic measuring equipment for evidential documentation of repair work. This is also backed by a Standox Standoblue waterbourne paint lifetime warranty. In 2015 we were the first independent repair facility to install Low Bake IR GAS paint drying technology. This technology is more efficient, productive and sustainable providing a overall better result then before or than before Licence Plates Zero OUT. We are committed to minimising the footprint that our facilities make on the environment. We have received a Level 3 (Voluntary Initiatives) Green Stamp Accreditation for our Environmental Management Plan and it shapes the way that we deal with waste materials while monitoring our emissions output. 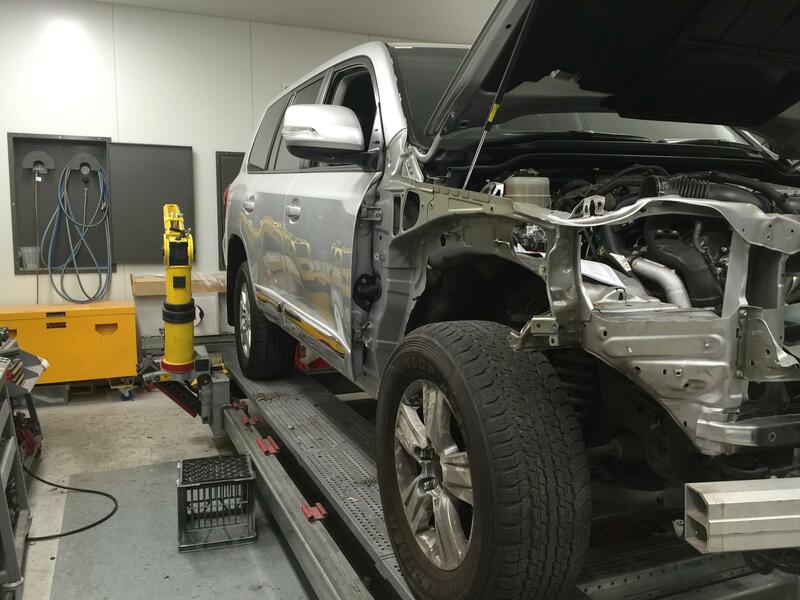 In 2015 Len Hollis became a Toyota Certified Repairer. 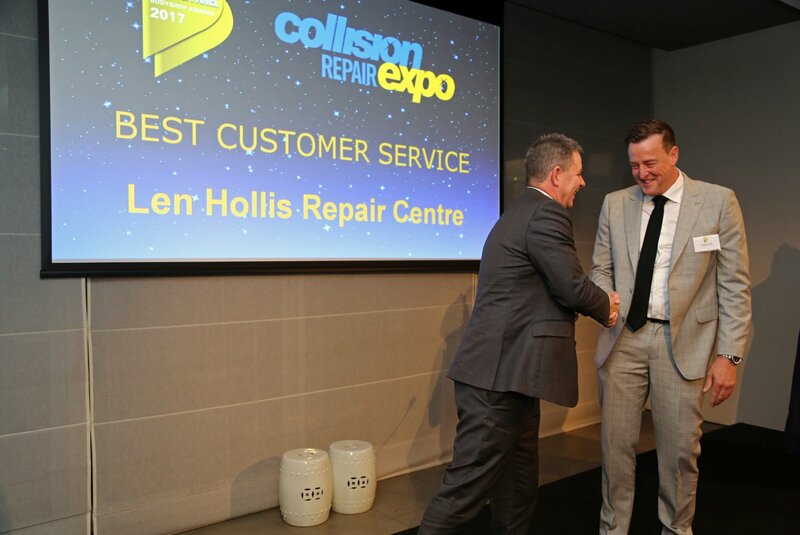 You can trust Len Hollis to deliver only the highest standard of repair for your Toyota vehicle. As part of our commitment to innovation, Len Hollis installed an Electric car charger in 2017 so when you collect your vehicle from our workshop, it’s fully charged and ready to go.